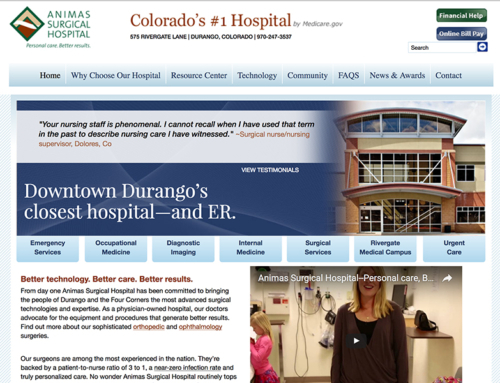 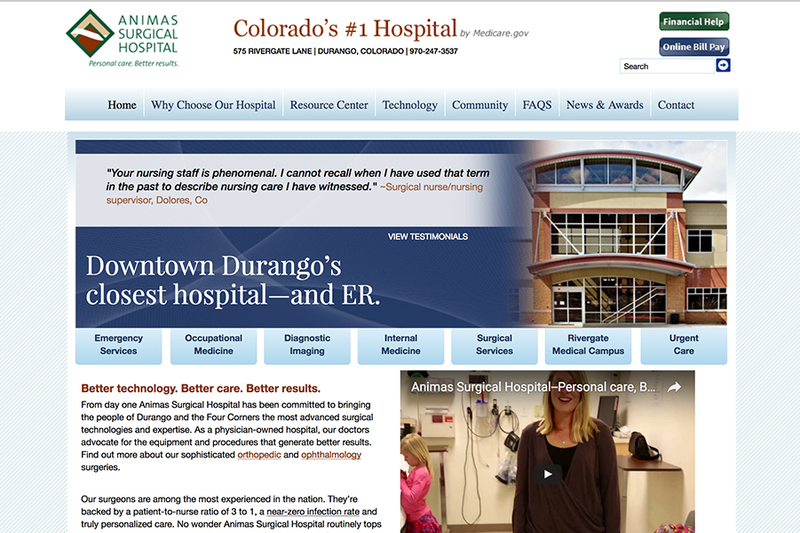 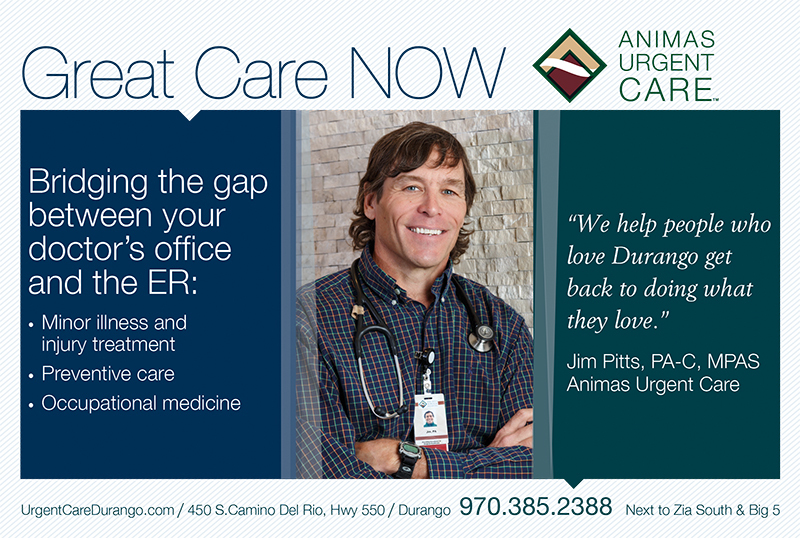 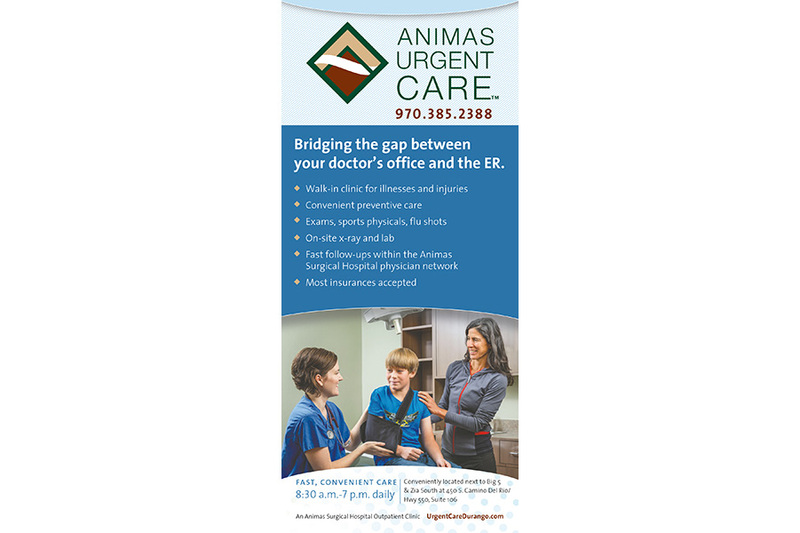 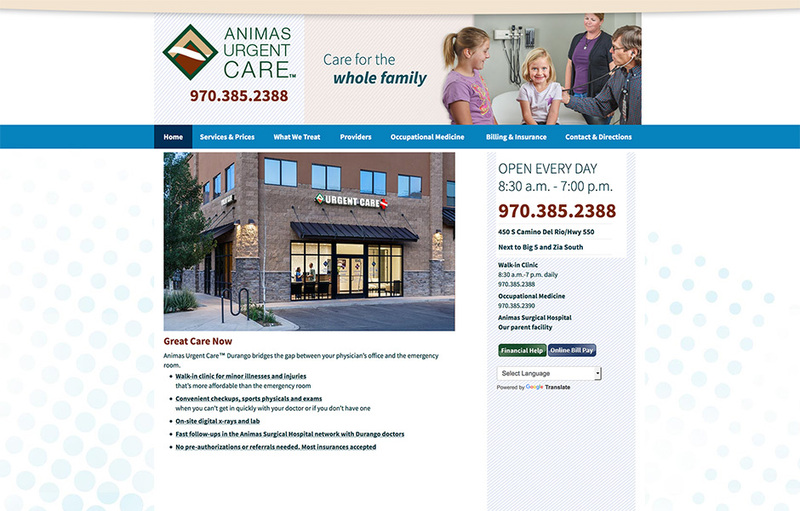 Animas Surgical opened an urgent care in 2013. 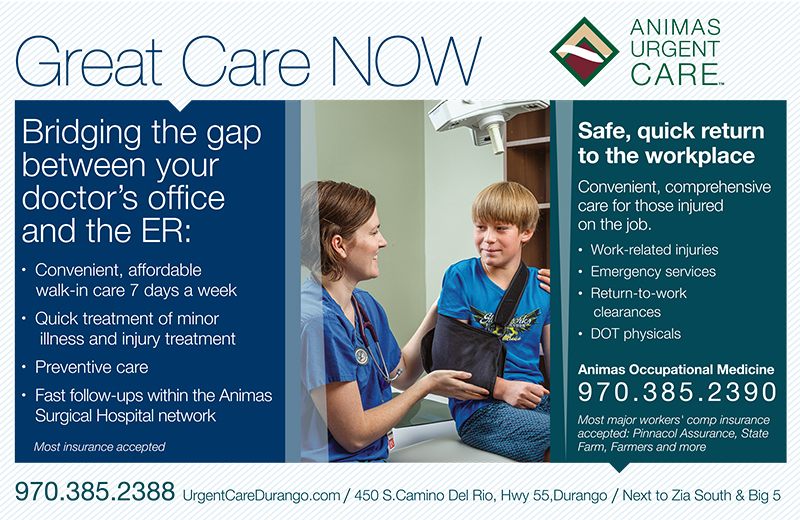 The new clinic was situated just across the river from the main campus and close to downtown Durango. 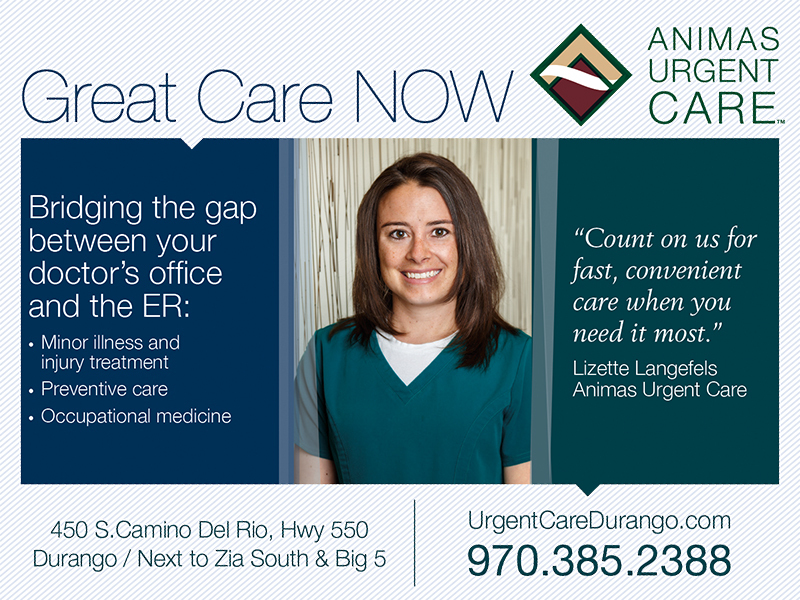 With only one other urgent care in town, there was room for growth. 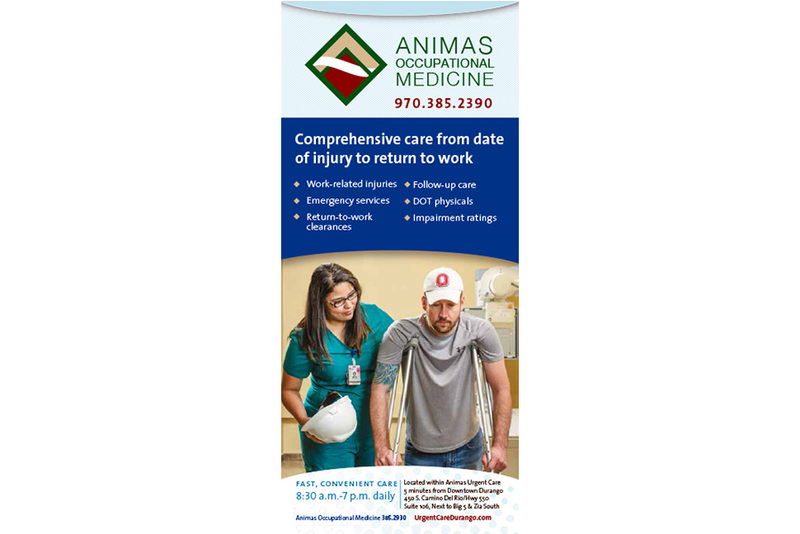 Athena provided the same level of marketing services to this new subsidiary offering brand identity development tied to main brand, a website, print and digital advertising, social media and PR coordination.